Dog Collar or Sturdy Dog Harness? Destructive Chewing Dog? No more!! How to choose your Dog Harness Vest? Dog Challenge for high energy dogs!! There are many options out in the market, Amazon, Walmart, eBay, but who has the Best Dog Harness Vest? 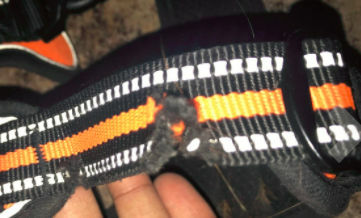 There are several aspects to consider before getting one and there are thousands of types of dog harnesses, all of them says they are best dog harness for walking or the best dog harness vest, most of them says their Dog Harness is Strong, unfortunately most of them has weaker straps tight to the chest area, this characteristic and cheap materials may cause that harness get damaged. As we mentioned, lots of brands promises that you will receive the Best Dog Harness, but be careful and check also the price, most of them are between $12 and $20, how this cheap items can be built with Strong and High Quality Materials??….. IMPOSSIBLE. Usually dog harness from amazon are cheaper options while petsmart dog harnesses are expensive, so you will need to find the balance between price and quality. If you are looking for a dog harness no pull or to stop pulling, probably the best option for you is a collar, when you handle a dog from the neck you will have a better control over your pet. Another characteristic you need to check is the Dog Leash or Dog Lead attachment, most of the brands in the market also promises Strong D-rings, but most of them has plastic strong Dog Leash or Dog Leads attachment!! Those D-rings may work for a French Poodle or a Chihuahua but not for a medium size dog or a large dog. For these reasons KnK Dog Supplies developed the Best Dog Harness Vest, this item is Heavy Duty Dog Harness Vest, it’s main characteristic is a Step in Harness specially designed to be a Sturdy Dog Harness. It is not chewy resistant but keep in mind that a Dog Harness is not a toy for your dog, it is a tool to walk, track, pull or run with your dog. 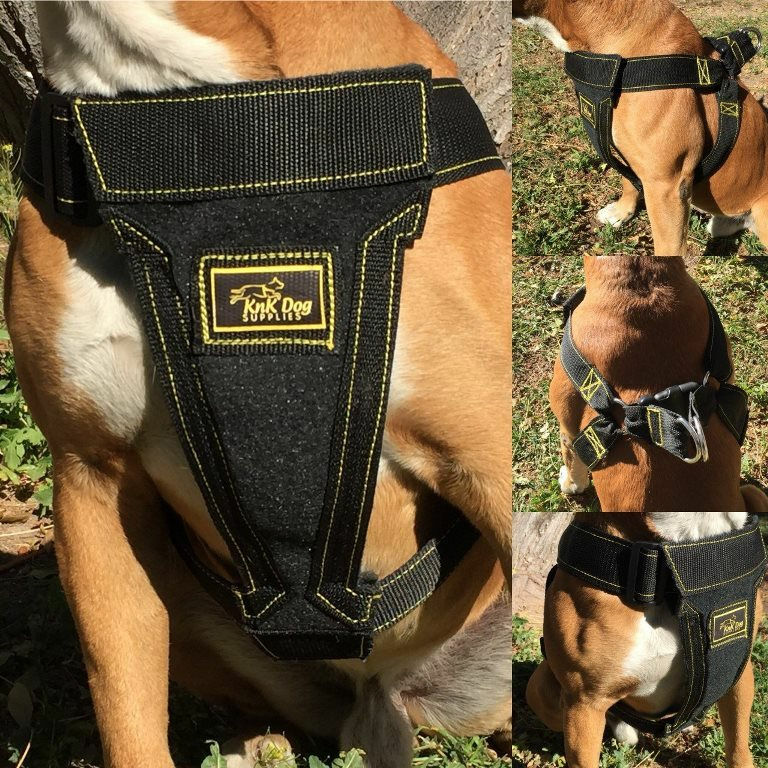 Comfortable Padded Chest – If your dog is a natural puller you can walk your pet safe, this step in dog harness is designed to distribute dog’s weight around the high quality padded chest area to avoid any injury at the dog’s neck with the use of a Dog Collar. Big and Strong Puller Dog? 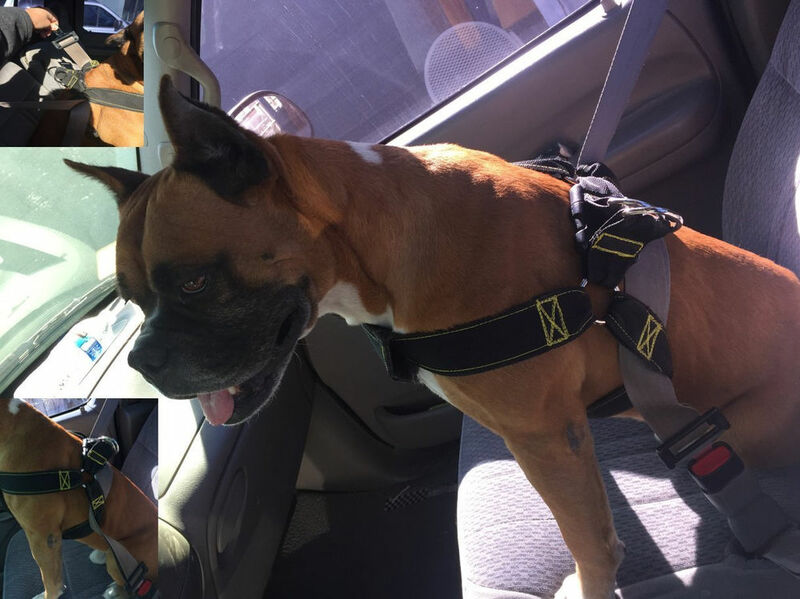 – No Problem Harness will fit on any dog of these dimensions 24” to 39” for Chest and 24” to 39” for Neck, besides, harness was tested with Pitbull’s, Boxers and Siberian Husky pullers without any damage, so can be used for Medium Dog Breeds or Large Dog Breed. Heavy Duty Dog Harness! This sturdy Dog Harness Vest also can be used as Dog Seat Belt, check the following image and get your now!! Stop thinking and order now this amazing and Heavy Duty Dog Harness!! check out this more sophisticated, controlled, and safe way to mush your high drive dog. The rider has precision steering control over the dog, the dog can only go forward and the dog sets the pace and the rider is there to help when necessary. Much safer and more fun than using a bicycle. It can go anywhere- busy downtown sidewalks and or single track hiking/biking trails.